Nature's clinically-proven morning-after eye cream helps to reduce the look of dark circles. Unsightly bags and puffiness seem less visible. 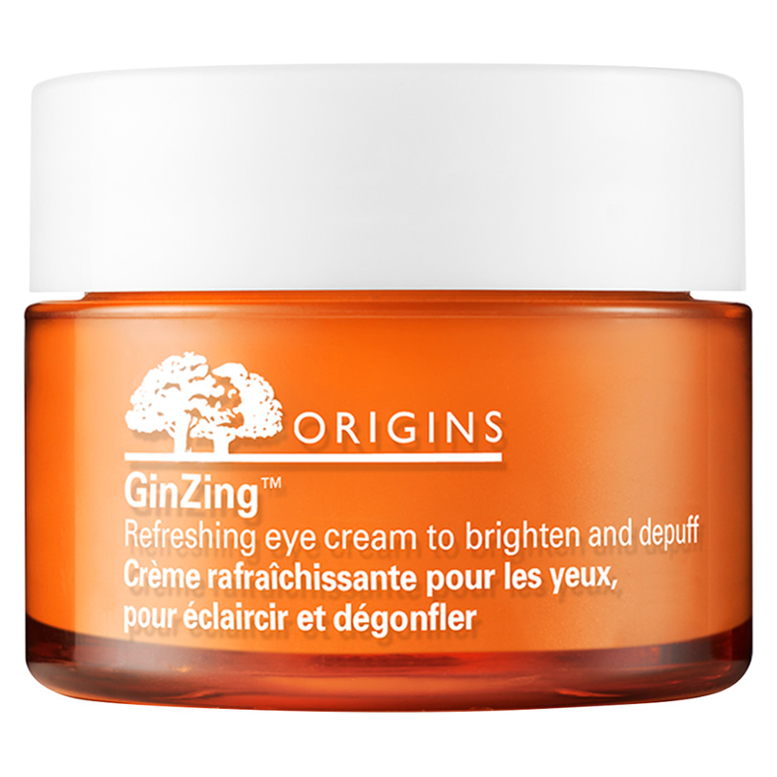 An Origins proprietary complex of Caffeine from Coffee bean, Panax Ginseng, Magnolia Extract and natural optic brighteners rapidly wakes up, refreshes and restores radiance to tired eyes. Opthalmologist tested. Good for all skin types and all ages. Gently dab around eye area with fingertip in the morning or as needed. 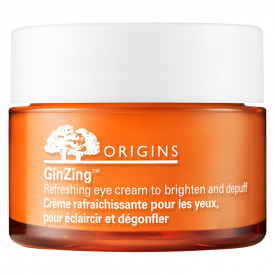 This product is great to use when you feel that your eyes look a little tired. It has a little shimmer, which helps disguise any darkness under the eye after a poor night's sleep. I have relied on this product when having a punishing 5am start over an extended period and found it effective in disguising the physical effect of the difficult routine. I still turn to it after a sleepless night to conceal the tiredness of a night spent tossing and turning. The product has a rich texture and moisturises the eye area well as well as working as a concealer without leaving a deposit in any fine lines. I use my finger tips to get a little of the pale coffee coloured cream from the pot and very gently pat this cream around my eyes. I concentrate on under my eyes as this is the part of my face that gets tired looking and can look drained and puffy. I do also pat a little at the corners of my eyes and after a long flight I also shut my eyes and pat some on my eye lids. As this is sort of skin toned it doesn't stick out if it doesn't soak in when pated onto your skin. As soon as you put it on it feels cool. My eyes feel better and I think they look a bit better too. In the interests of reviewing I have put some on one eye and not the other. The effect isn't startling but it is evident. There is a slight sheen to the cream which helps the lightening effect so you get the dark bags under your eyes lightened and the sheen looks a bit like the effect I get from benefit's eye brightening cream but this is natural whereas that I would suspect is not. The skin around my eyes feels a bit tighter and my eyes don't feel quite as weary. It is a bit like a splash of cold water on your face but without the skin reddening effect you get from that. I use this cream combined with eye drops for tired eyes and the combined effect is really freshening. I can't say I no longer feel tired after a long flight but at least I no longer feel like someone has thrown sand in my eyes. I think this cost around £20 but it has been around six months since I bought this last so I have forgotten. I was lucky and paid for this product but got a face wash and a charcoal face mask free so for three products I thought £20 was good value. Origins are a good company for offers and recently I took an empty moisturiser to the counter and got a free tube of one of their rather superior moisturisers so I was well chuffed. It is worth keeping your eyes on their website as this tells you what offers are on and how to get what they are offering. Yes this does a good job as a makeup base or just by itself of tightening the skin around my eyes and adding a bit of a lightening and brightening effect. It has NEVER stung my eyes and has been tested by human beings who volunteered and uses all natural non animal ingredients which has to be a good thing in my view. I am so pleased that I have found this company as I really do like to use products with plant based ingredients. I like the ethics of this company and the fact that they are thinking of the environment with their packaging as well as their product ingredients. 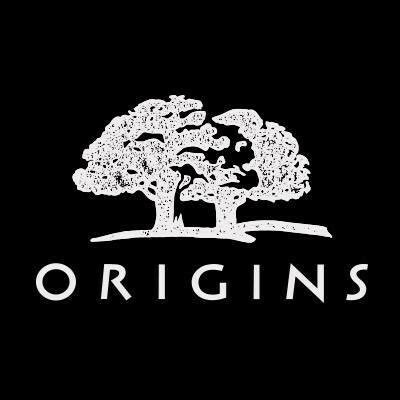 I will certainly be buying from Origins again as all the four products I have used have been excellent and I like the way the company is working so as not to harm the environment any more than absolutely necessary including using renewable energy sources. This is a lovely eye cream to use alone after a tiring flight or under makeup when going out in the evening. One I shall be buying again when mine runs out but you use so little at a time it will be quite a while before I need to buy another pot. This did depuff and brighten the area under my eyes, although it took a couple of weeks to see any effects. It didn't help with thin areas of skin or fine lines, although it makes no claims to. I've enjoyed using this. After being initially disappointed at a lack of results, perseverence paid off and I saw some good effects. I look more awake and refreshed using this. It is expensive though.